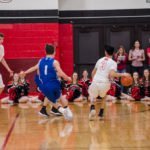 Marquette, MI – January 16th, 2018 – Tonight’s Michigan High School Sports Basketball game pinned the Ishpeming Hematites against the Marquette Redmen with the Redmen taking the W with a final score of 73-46. 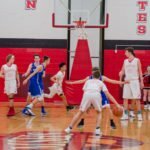 The night began with the Marquette Redmen JV team taking a win against the Ishpeming Hematites JV with a final score of 62-49, foreshadowing the game yet to come. 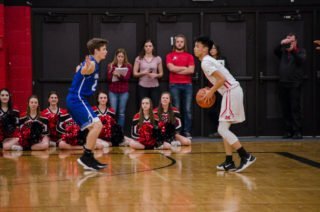 The first frame had Darius Yohe of the Hematites put in the opening shot of the game, being a big 3-pointer and put the Hematites into an early lead. 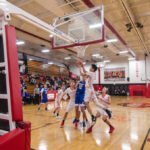 Ethan Martysz of the Redmen quickly answered back with a volley of 3-pointers in the first frame and set the tempo for the Redmen to take the lead from Ishpeming and drive their score. 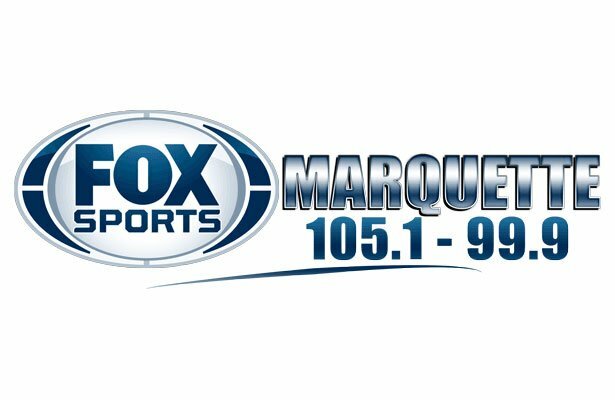 Luke Ogea ended the frame faking a pass into a layup and scoring for Marquette at the buzzer. 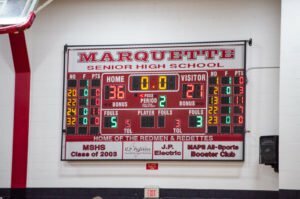 The second frame had the Hematites putting up another 3-pointer at the start, but Marquette was not shaken and kept the Hematites behind with a great offensive and defensive game, driving their score to finish the first half of this basketball game to 36-21. 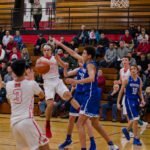 Ethan Martysz lead the team in scoring with 15 points, followed by Luke Ogea with 11. 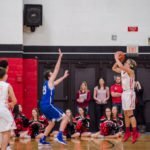 The second half of the game began with Bryce Brazeau of the Redmen putting a 3 on the board, but Jaden Tucker on the Hematites answered back with a 3 of their own. 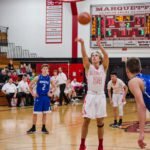 With 4 minutes to go in the third Luke Ogea shot a 3 off the right side keeping the Redmen momentum going on a stride, but the Hematites kept a solid game and pushed back against Marquette not allowing the point spread to grow any farther, instead each team fired shot for shot as both teams fired up. 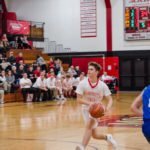 Garrett Zueger made his first 3 point score of the night for the Redmen early in the 4th, followed by a second 3 pointer not far after. 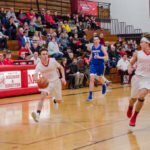 With a lot of back and forth the game finished up with the Marquette Redmen taking victory with a final score of 73-46. 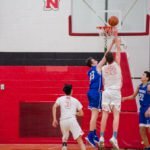 Ethan Martysz lead the team in scoring with 21 points, followed by Luke Ogea with 13. 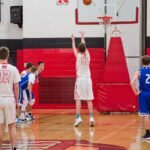 The Redmen had only 6 tornovers, and claimed 37 rebounds. 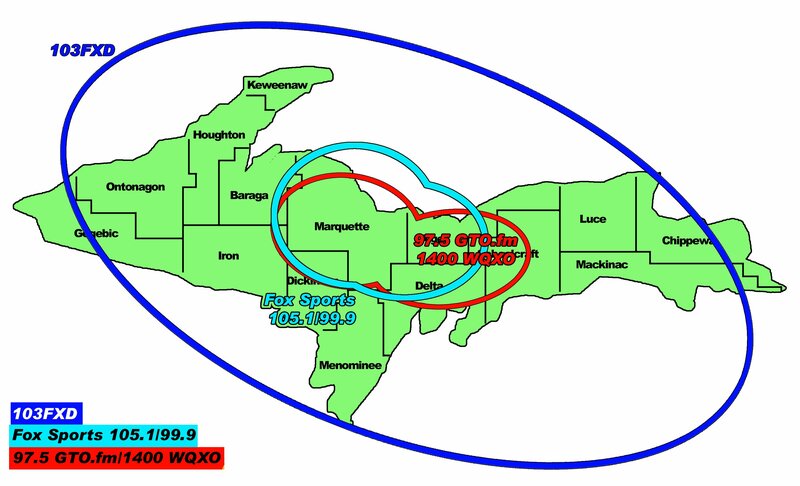 Join us for the next game when the Marquette Redmen take on the Kingsford Flivvers on 105.1 and 99.9 FoxSportsMarquette.